1979 Islander 36 36' Islander '79 "Islandia" The Islander 36 is a timeless classic. Some 40 years later its classic lines still capture the eye. 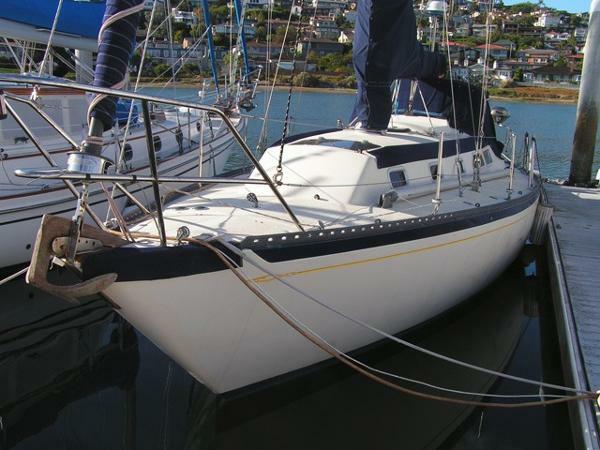 A beautiful sailing yacht as well as a comfortable live aboard. One of the features of the Islander is a very gradual companionway step set up which makes it dog friendly. Easily single handed or with a crew of six. Come see your next adventure! 1972 Islander M4-30 The Islander 36 is a great design by Alan Gurney. Scenario sails like a dream and was recognized as one of the top ten cruising boats of all time by "Cruising World". The interior is rich and comfortable with teak and oak woodwork. There is a double berth forward with enclosed head between the forward cabin and main salon. There are two settees across from each other. One is a double. Aft to port is a quarter berth, so sleeping is for 6. Headroom is plenty. The salon table uniquely folds away out of sight when not in use but opens to a large eating surface area accessible from each settee. One half can drop down so that the table is partially up, so you can more easily walk forward to the head or forward cabin. Look no further! Scenario is one of the best cruising boats of this era. 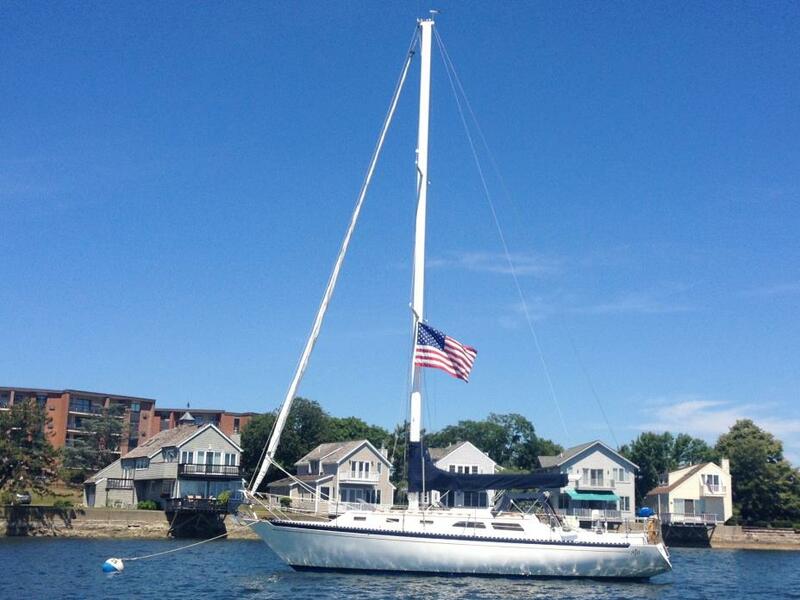 Sail her away today! 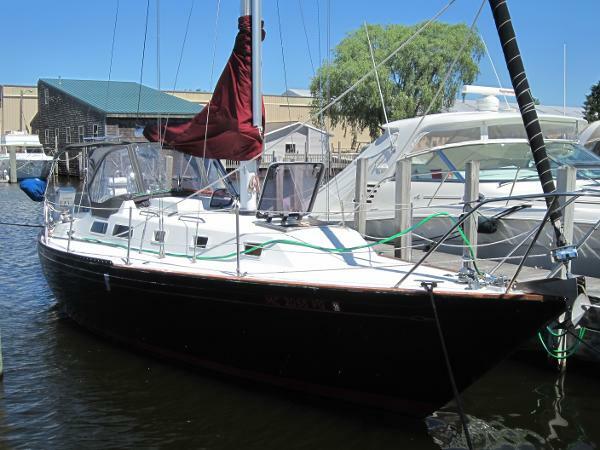 1979 Islander Yachts 36 36' Islander '79 "Simple Pleasure" A clean well cared for Islander 36 with new interior, 6-new Lewmar opening ports, new salon hatch, new interior lights (low amp draw) new thru hull for sink, very solid stainless steel dodger frame and canvas in excellent condition. 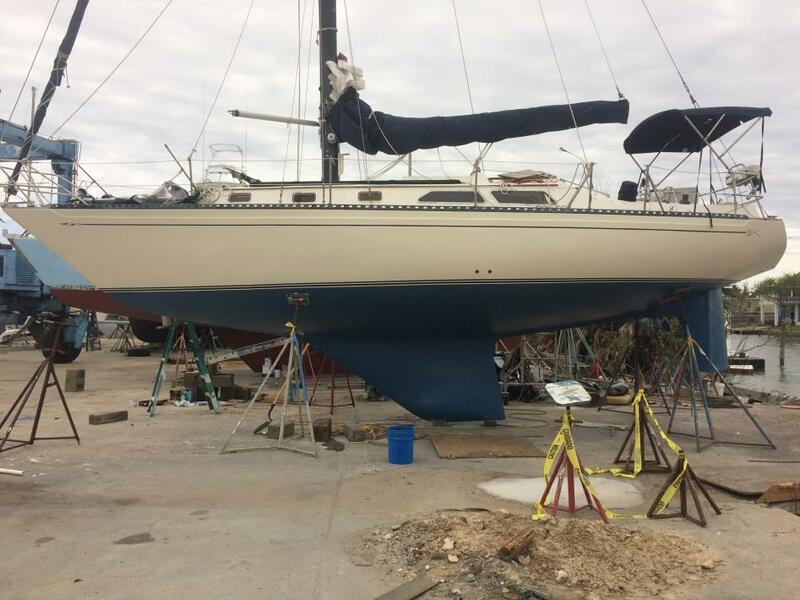 Electrical panel replaced, new A/C wiring, new spreader lights, new steaming light, new mast head light, mast pulled and re-wired, standing rigging replaced when purchased, new anchor wash down pump. A nice sailing, comfortable boat. 1978 Islander 36 The Islander 36 is a great design, by Alan Gurney. She sails like a dream and was recognized as one of the top ten cruising boats of all time by Cruising World. 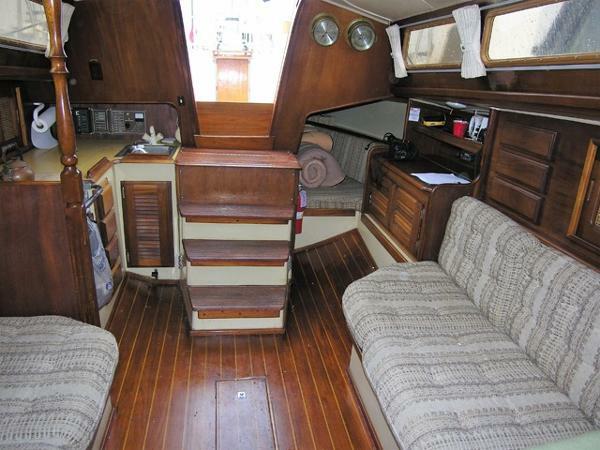 The interior is rich and comfortable with teak and oak woodwork. There is a double berth forward with enclosed head between the forward cabin and main salon. There are two settees across from each other. One is a double. The cushions have been recently upholstered in marine leather in 2006. Aft to port is a quarter berth, so sleeping is for 6. Headroom is plenty. There is a great galley with a 2006 refrigeration system and stove, that is 110 volt. The stove is mounted in to the 2006 solid counter top. There is a microwave available that can be operated off the inverter, as there is a new five battery bank system for this Islander. The boat has instant hot water installed in 2011. The salon table uniquely folds away out of sight when not in use but opens to a large eating surface area accessible from each settee and one half can drop down so that the table is partially up, yet you can walk forward to the head or forward cabin. The bottom was redone in 2006 with West System Epoxy coatings. The rudder was rebuilt, new strut bearing and drive shaft packing in 2013. A new drive shaft coupling was also installed at this time. New main in 2008. The sails were cleaned and any repairs were completed this past winter. There is a radar and chart plotter both below at the chart table and also at the helm. Professionally made winter cover and steel cradle. The boat is well equipped for long distance cruising. She has had good care over the years and shows as a much younger boat. 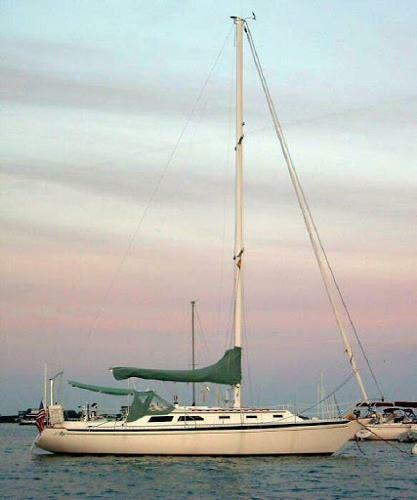 You must see this great Islander 36 and sail it home. 2002 Baja 250 Islander Center Console, Mercury 250HP Outboard, Nice! 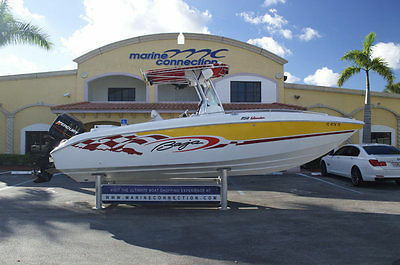 Marine Connection Boat Sales 1.877.430.9633 West Palm Beach, FL 2002 Baja 250 Islander Center Console Center Console 2002 Baja 250 Islander Center Console, Mercury 250HP Outboard, Nice! 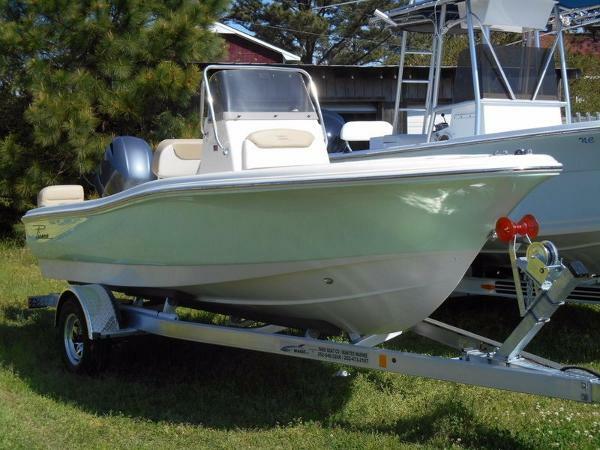 $29,900 ConditionUsed MakeBaja Model250 Islander Center Console Powered byMercury 250HP 2-Stroke (250 XXL) Length24'11" Beam8'6" Hours (Unknown) Get Pre-Approved PHOTOS BOAT HIGHLIGHTS Excellent condition Loaded with Electronics Sporty fun on the water BOAT INFORMATION Here's a craft that meets the demands of family boating and includes all the features for big-time sport fishing. Included optional cushions turn the bow into a large sun pad. An inset tub doubles as a fish box or ice chest. Aft rumble seat flips up to reveal a sink, cutting board and storage. Catch the latest W.A.V. from Baja and you're set for adventure. 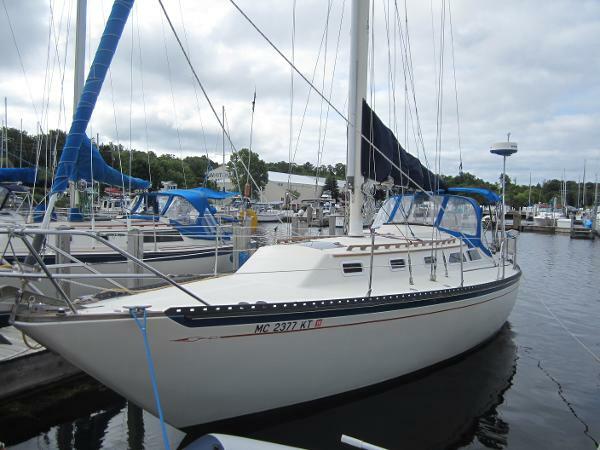 This 250 Islander is in EXCELLENT condition. The gelcoat has a nice shine to it and really looks great. The upholstery throughout the boat is in excellent shape as well. Our 5-Star Service Department has performed a mechanical evaluation & water tested it and she performs like new - the motor has good/even compression on all cylinders. Surveys and mechanical inspections are welcome. Sold as-is, where-is. HISTORY REPORT Know before you buy with a Boat History Report. These comprehensive reports include: Accident check, Salvage check, Environmental Lien check, Seizure check, Hurricane Damage checkand much more... Click below for your FREE Boat History Report! That's right, we have already paid for it! View Boat History Report FEATURES & OPTIONS Deck Options Livorsi Shifters VHF Radio Kenwood Stereo Raymarine A65 Garmin Echo 500C Trim Tabs Tilt Wheel T-Top w/ Electronics Box & Speakers Full Boat Covers Fire Extinguisher Under Gunwale Rod Rack Pyle 600-Watt Amp Boarding Ladder SPECIFICATIONS HIN AGC63029L102 Length 24'11" Beam 8'6" Person Capacity 7 Weight 3,900 lbs. Deadrise 24 Draft 36 Fuel Capacity 140 gal Exterior Top T-Top Engine(s) Mercury 250HP 2-Stroke (250 XXL), 0T542188 TRAILER A 2002 Performance Tandem Axle trailer is available for purchase for $1,000. A trailer is not included in the price of the boat. FINANCING SHIPPING & DELIVERY United StatesWe offer nationwide delivery to your door! Please contact our Sales Department for an accurate delivery quote. International / Export Australia: We ship to Sydney, Brisbane, Melbourne, Fremantle and all Australian ports. Please our Sales Department for the most accurate shipping rates. Canada: We can deliver to your nearest boarding crossing. Please contact our Sales Department for pricing. Europe: We ship to Bremerhaven, Amsterdam, Gotherburg, Southampton and all European ports. Please contact us for the most accurate shipping rates. We also offer CE Certification! South & Central America: We ship to all major ports, please contact our Sales Department for the most accurate shipping rates. Asia: We ship to all major ports, please contact our Sales Department for the most accurate shipping rates. ABOUT MARINE CONNECTION The Ultimate Boat Shopping Experience. 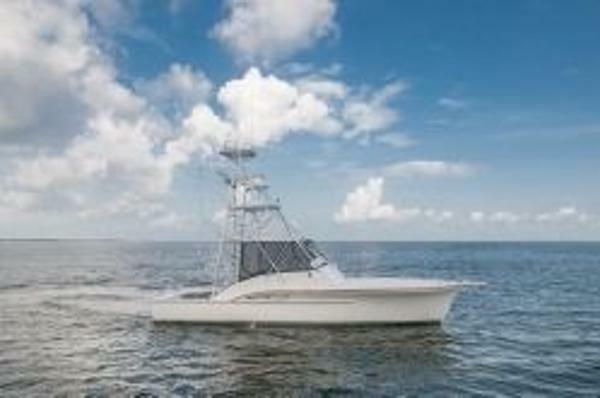 Welcome to Marine Connection - South Florida's #1 Boat Dealer. We are a new boat dealer for Cobia, Hurricane, Pathfinder, Sportsman, Rinker, Bulls Bay and Sweetwater boats along with pre-owned bank repossessions, liquidations, factory distressed short sales, close-outs, trade-ins, and more. We have been selling and exporting boats since 1987 and still hold true to our founding goal of providing the most pleasant and professional boat purchasing experience for thousands of satisfied customers. Marine Connection has been named Boat Dealer of the Year by Boat & Motor Magazine and ranked 6th in Boating Industry Magazine's list of Top 100 Boat Dealers, the most coveted award in marine market. We were also one of the first dealerships in the nation to receive Five Star Marine Industry Dealer Certification. We are located in West Palm Beach, Florida and are conveniently located within short driving distance of 3 international airports. Our 3 acre facility offers the largest selection of used boats in Florida! The Atlantic Ocean, Intercoastal waterway and a freshwater lake are all within minutes of our location. Contact our experienced personnel with your questions by calling 1-877-430-9633 or e-mail sales@marineconnection.com. We welcome you to visit our showroom at 2807 S. Military Trail, West Palm Beach, Florida 33415. Feel free to come and see any boat in person! View our other Auctions CONTACT US Located at Marine Connection - West Palm Beach 2807 South Military Trail West Palm Beach, FL 33415 USA Business Hours Monday Closed Tuesday 8:30am - 6:00pm Wednesday 8:30am - 6:00pm Thursday 8:30am - 6:00pm Friday 8:30am - 6:00pm Saturday 8:30am - 6:00pm Sunday Closed Deposit is required within 2 days from end of auction (non refundable) and full payment is required within 7 days. We offer a number of financing options with approved credit. If you are planning to use our financing services, please pre qualify before bidding by calling us at 1-888-693-3470. Boat must be paid in full before delivery. All boats are charged a $240.00 administrative office paperwork fee, for Florida residents we also collect sales tax. Items are listed internationally and we reserve the right to end listings early. Payment methods: Certified Cashier's Check, Wire Transfer, Cash in Person - call for more details. Shipping: Nationwide delivery is available as well as shipping worldwide.